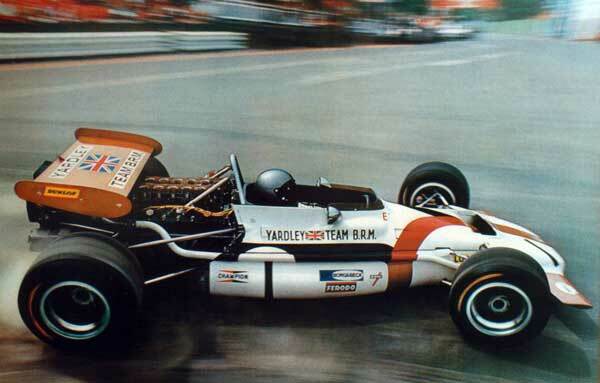 Eventual winner Pedro Rodriguez negotiating the famous "La Source" hairpin in his Yardley sponsored BRM P 153.
with his team boss and Mrs Louis Stanley. 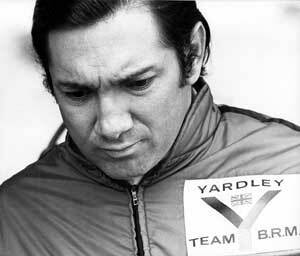 Yardley-BRM Team Director Louis Stanley asks Raymond Biesmans, a young flag marshal then, if he can find sleeping accommodations for 2 BRM mechanics. 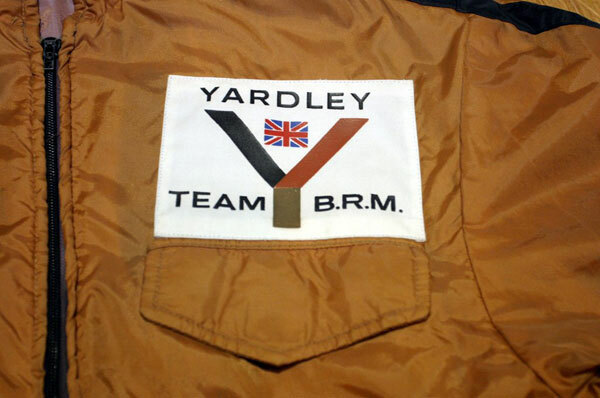 Raymond is able to find 2 beds quickly and as a token of his appreciation, Stanley rewards him with a brand new Yardley-BRM Team jacket. 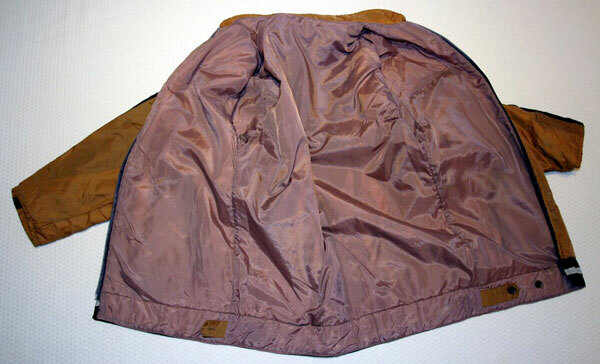 Raymond tries it on immediately only to find out that the jacket is a wee too small. 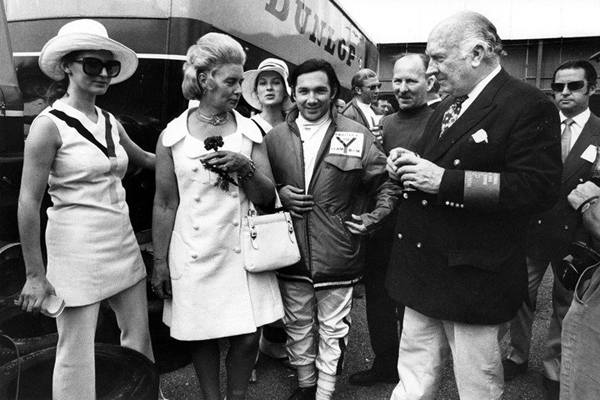 Pedro Rodriguez, wearing a similar jacket, watched the whole scene and suggests a swap as his jacket is too big. And so Pedro and Raymond swap jackets making them both happy. 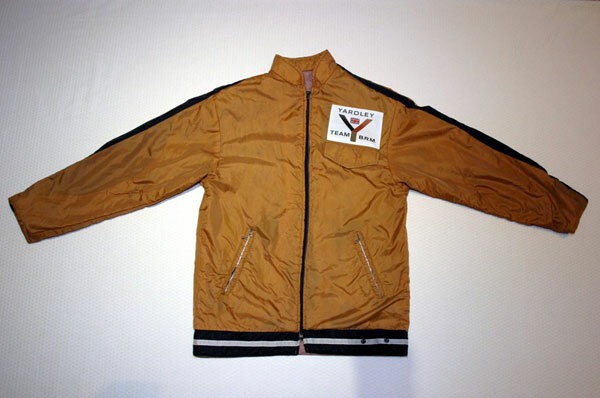 Pedro Rodriguez went on to win that legendary Belgian GP (the last GP held on the old race track) adding to the jacket's sentimental value. Many years later, now Chief of the Belgian Flag marshals, Carlos meets Raymond Biesmans on several occasions and tells him about his brother's passion for Pedro Rodriguez. 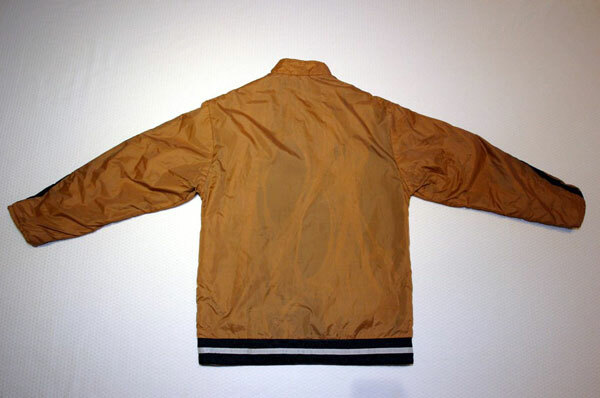 Raymond, in his mid-fifties then, decides to offer the jacket to Luc, knowing it would be 100% safe in his hands. 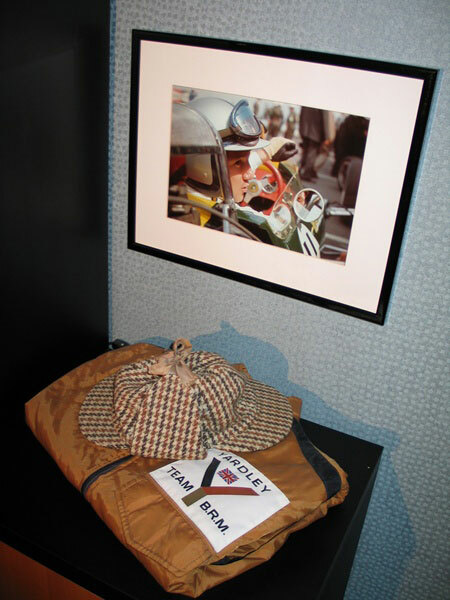 And so the Yardley-BRM jacket finds a new home in Sint-Niklaas where it is treasured together with Pedro's Hinchman Nomex and Ricardo's racing gloves. I would like to thank Raymond once again for this wonderful gesture.